Chandler is a city in Maricopa County and a suburb in Phoenix, Arizona. From 1960, Chandler’s population of only 9,532 grew to 347,882 in July 2016. Satellite locations for tech companies like Intel and Orbital ATK are located in Chandler. The city is also home to famous landmarks such as The First National Bank Building, Espinoza’s Food House and McCullough-Price House. Chandler is a bustling city with different attractions and activities for tourists and residents alike. They hold events such as The Ostrich Festival, The Tumbleweed Tree, Chandler Indian Market, and Chihuahua Races. Other leisure spots include museums, resorts, restaurants, museums, and shopping center. With 330 sunny days each year, Chandler is a great city to live or spend holidays in. But aside from being aware of recreational spots, it also pays to know the locations of essential establishments such as hospitals and clinics in case of emergency situations, like urgent dental concerns. What are emergency dental conditions? Emergency dental conditions are situations involving the teeth, gums and other facets of oral health that need immediate medical attention. These include broken tooth, bitten tongue or lip, toothache, objects caught in between teeth, knocked out tooth, and possible broken jaw. While you can administer first aid on these types of situations, it’s still imperative to seek emergency dental services shortly after initial treatment to avoid further complications and injury. If you’re in Chandler, whether as a tourist or resident, here are some of the factors you need to consider when looking for a dentist. Experience – Do your research and determine the level of experience a dental clinic has. How many years has it been in business? What are the services they’re known for? Typically, such information is found on their websites or corporate brochures or handouts. Reviews – While visiting websites and reading corporate brochures can give you an idea about a dentist or dental clinic, they may not give you insight about customer experiences. That’s why it’s important to read reviews and client feedback because these statements reflect reputation and are based on first-hand and actual experiences of people. Services – When looking for a dentist, make sure that they cover a comprehensive set of treatments that addresses all levels of dental needs, from cleanings, fillings to more complex procedures such as extractions, sedation, cosmetic surgery, and emergency dental treatments. 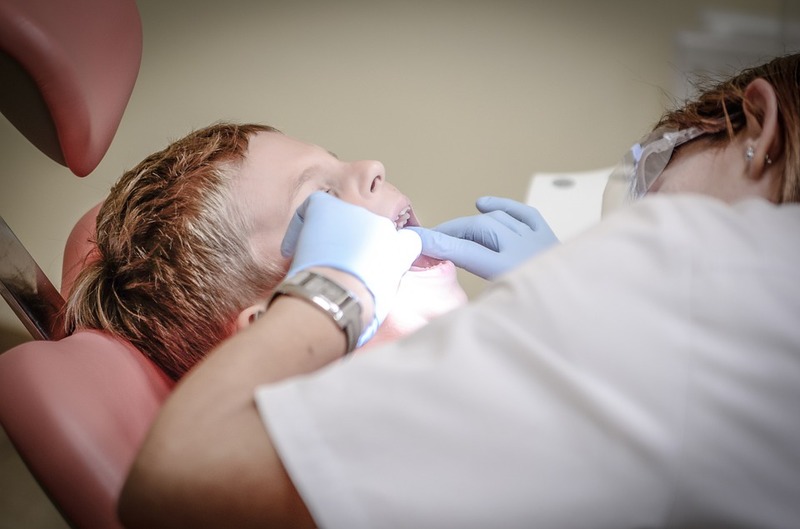 Proximity – A dental clinic may be reputable and offers a wide range of treatments, but it’s still not the ideal choice if it’s far from your community. When choosing a dentist in Chandler, make sure that’s within your vicinity and is easily reached especially for urgent situations. Integrity and concern for patients – As you look for a dentist to work with, it’s advisable to visit the clinic to have a glimpse of how they work and treat patients. Work with a dentist who not just makes you feel at ease, but also knows how to explain treatments and conditions in a way that you can easily understand. Likewise, observe how the staff interacts with you. Do they entertain your concerns enthusiastically or do they appear oblivious and out of touch? Kyrene Family Dentistry is a dental treatment center located conveniently in Chandler. We offer a wide array of dental services and possess all the qualities mentioned above. To further make things easier for our patients, we work with a comprehensive list of insurance companies. This means that you can focus more on your dental health without having to worry about costs. If you’re in Chandler, whether as a tourist or resident, Kyrene Family Dentistry can help you take control over your dental health, especially during emergency oral situations. If you want to know more about us, please get in touch with us or set an appointment.